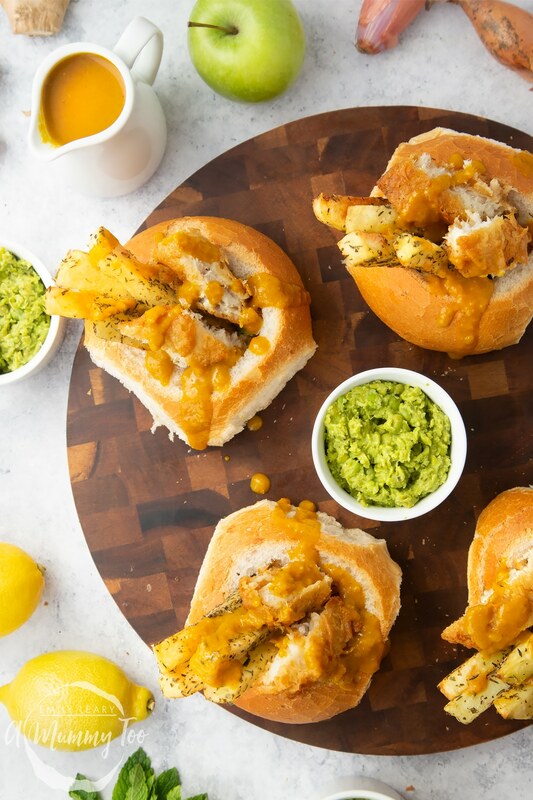 If you love classic chip shop cod and chips with curry sauce and mushy peas, you’ll go wild for these cod and chips crusty rolls! In this recipe, I’ll take you through how to make a delicious home-made curry sauce, some stunningly tasty mushy peas and some utterly moreish herby chips. 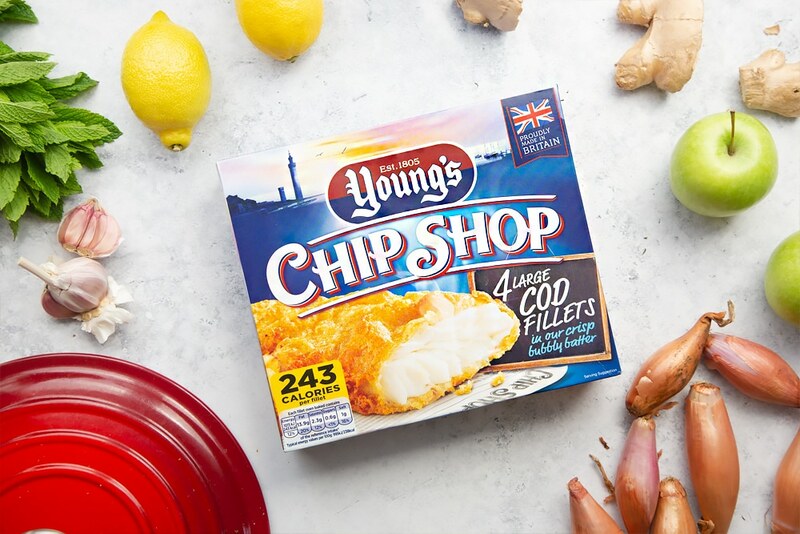 We’ll also be cooking up some delicious Young’s Chip Shop Large Cod Fillets and serve it all up in a delicious crusty roll. Enjoy! Here’s how to make these cod and chips crusty rolls. Preheat the oven to 220C/430F (200C/390F fan). 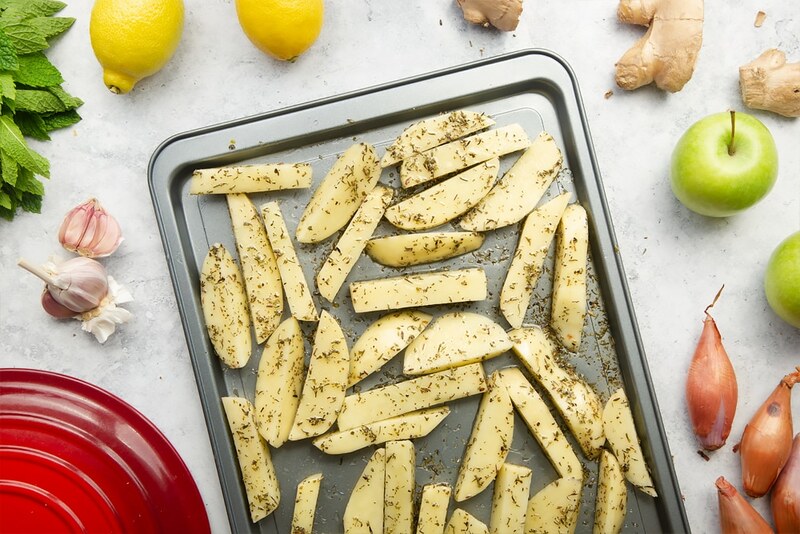 Cut potatoes into chunky chips. Place in a bowl, cover with water and leave to soak for 10 minutes. Drain the chips well and pat dry with kitchen towel. 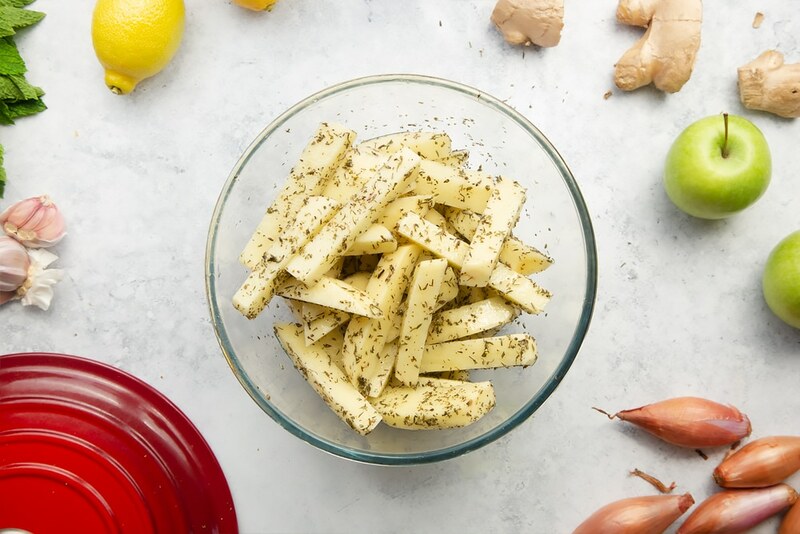 Mix chips with extra virgin rapeseed oil, oregano, thyme, salt and pepper. Spread on a baking tray in a single layer. Bake in the oven for 25 -30 mins. If you pop the Chip Shop Cod Fillets in now, they’ll be ready at the same time as the chips. Remove all packaging, place product on a wire rack over a deep baking tray. Place in the centre of the oven and cook for 22-25 minutes. 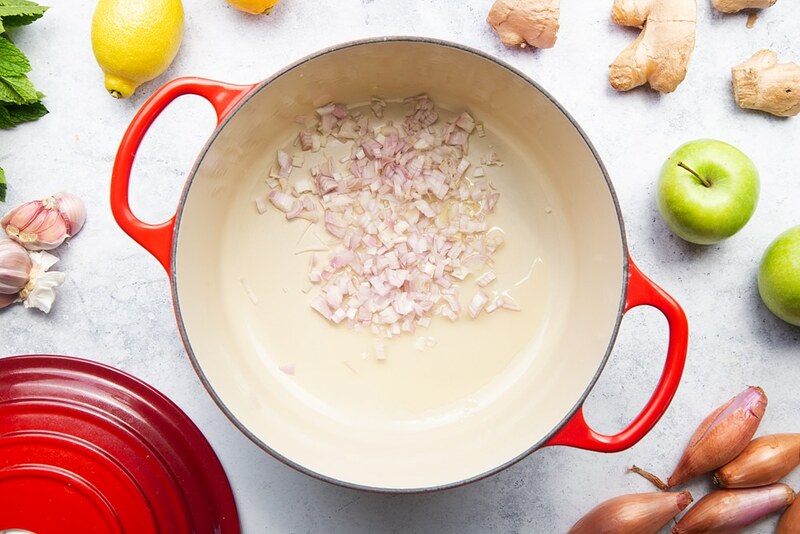 Heat the oil in a saucepan over a medium heat, add the shallots and fry until soft. 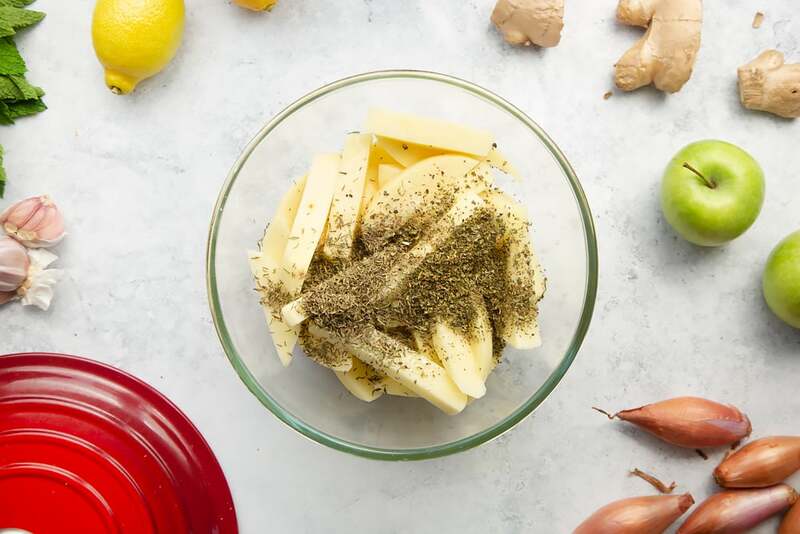 Add the garlic, ginger, apple and sweat for 2-3 minutes. Then add tomato puree, curry powder, flour and stir well. Add water and the stock cube and give it a stir. Liquidise slightly with a hand blender making sure to retain some texture. Add the peas and tarragon to a pan of boiling water. Bring back to the boil and simmer for 2 minutes, then drain. Add the butter, vinegar, chopped mint and stir to dissolve the butter. 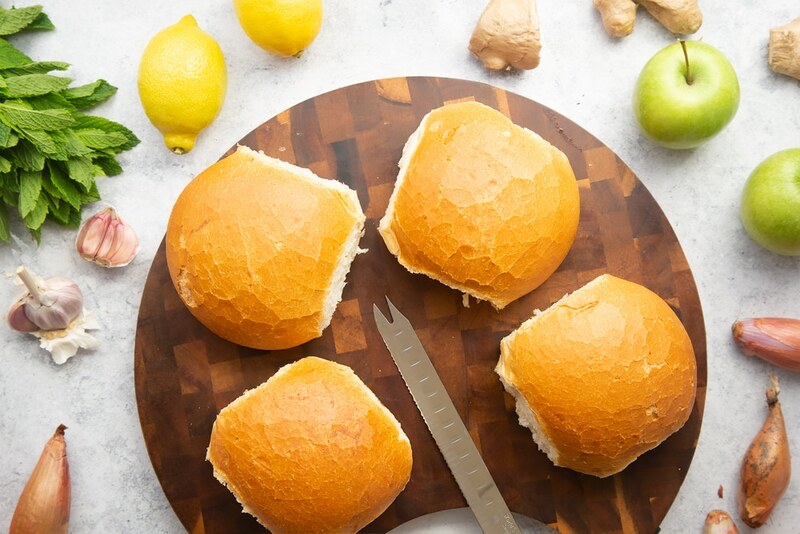 Cut the tops off the crusty rolls. Hollow them out taking care to keep the sides in tact (you can freeze the bread you removed to use as breadcrumbs in a future recipe). 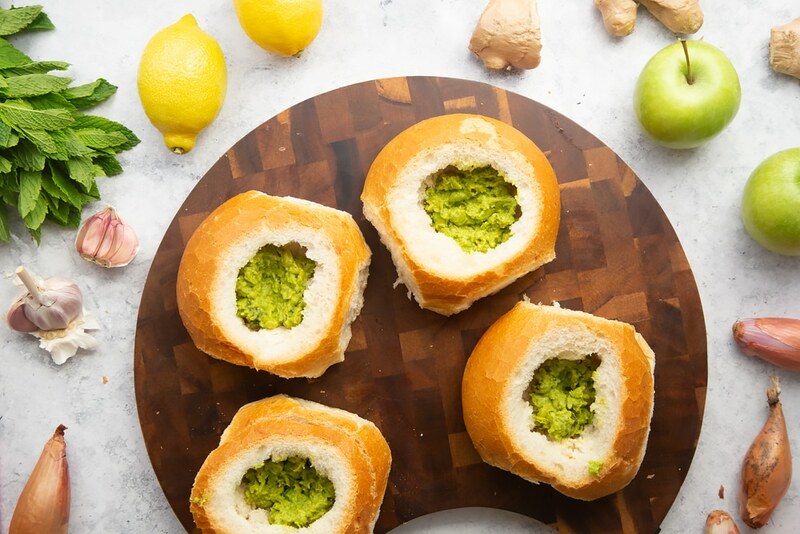 Put a spoonful of mushy peas into the base of each roll. Stand a few chips in each roll. Cut the fish into 2.5cm wide slices and arrange a few in each roll. 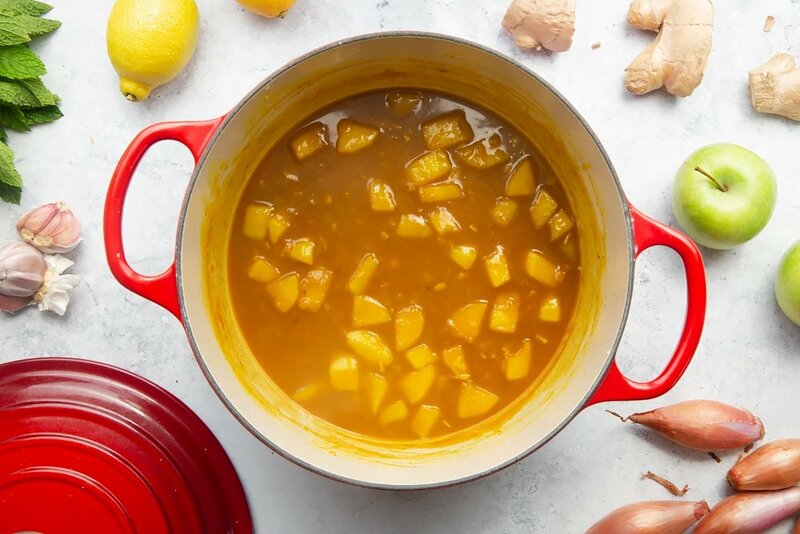 Drizzle with curry sauce and serve. If you’d like to print this cod and chips crusty rolls recipe to make later, just hit PRINT on the recipe card below. 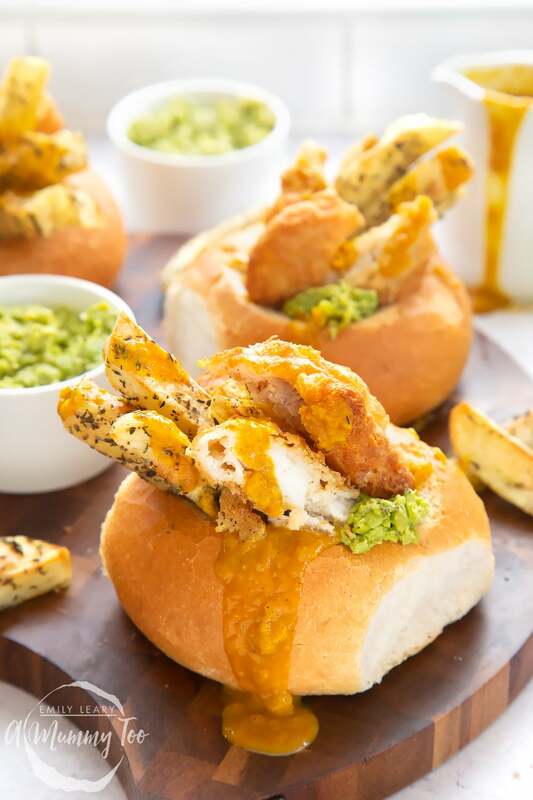 Crispy battered cod and herby chips served in crusty rolls with delicious home-made curry sauce and tasty mushy peas. Spread on a baking tray in a single layer. Bake in the oven for 25 -30 mins. 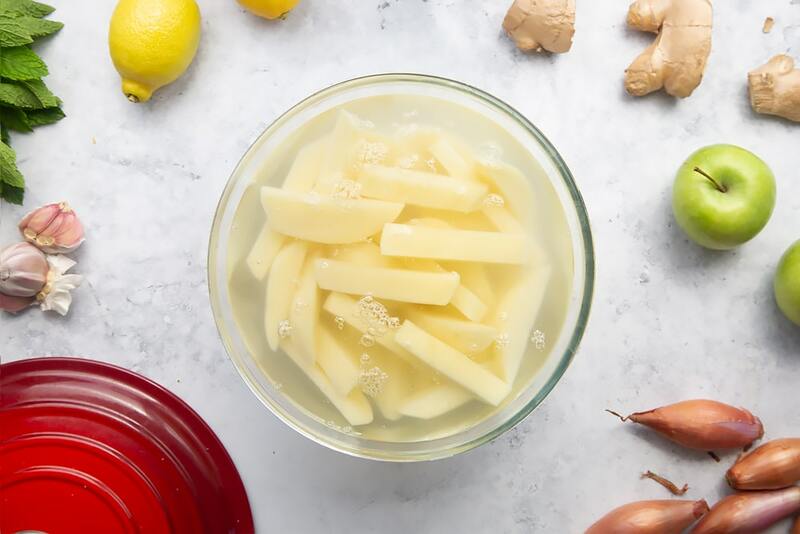 Add water and the stock cube and give it a stir. Simmer for 10 minutes. Liquidise slightly with a hand blender making sure to retain some texture. Season with salt and pepper to taste. Liquidise slightly with a hand blender making sure to retain some texture. Add salt and pepper, to taste. 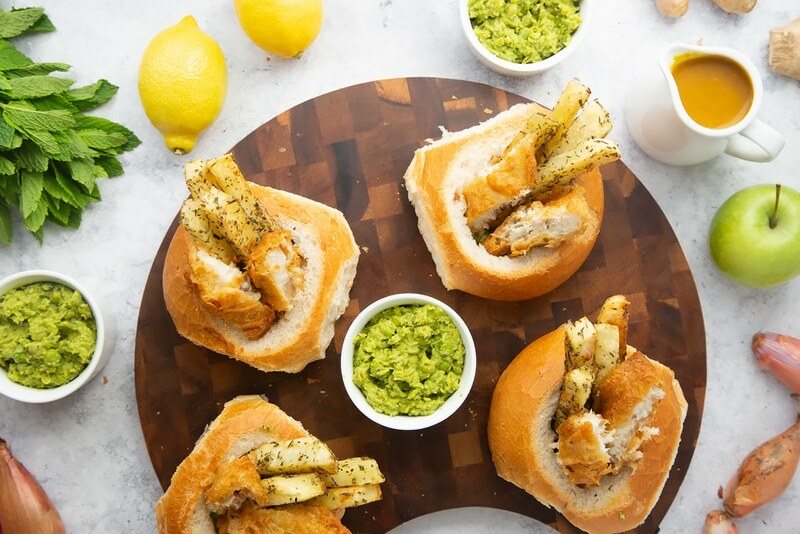 These cod and chips crusty rolls would work well for a party or celebration. 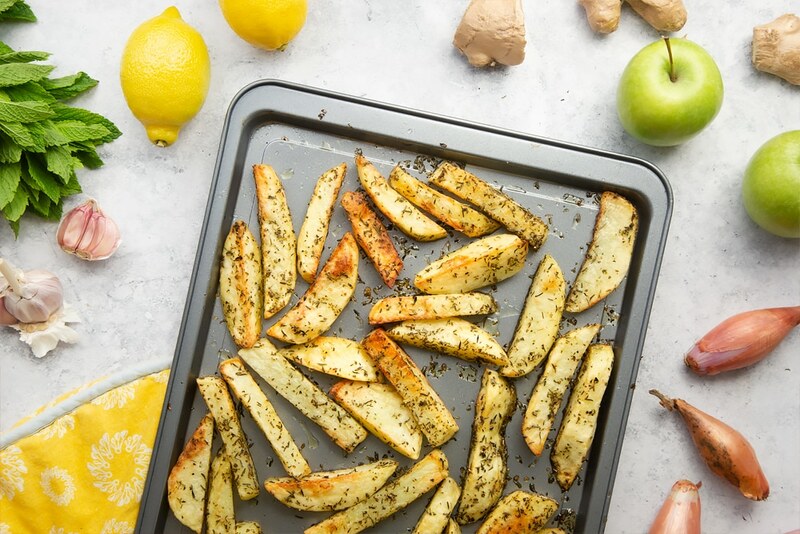 Are you tempted to try this recipe at home? 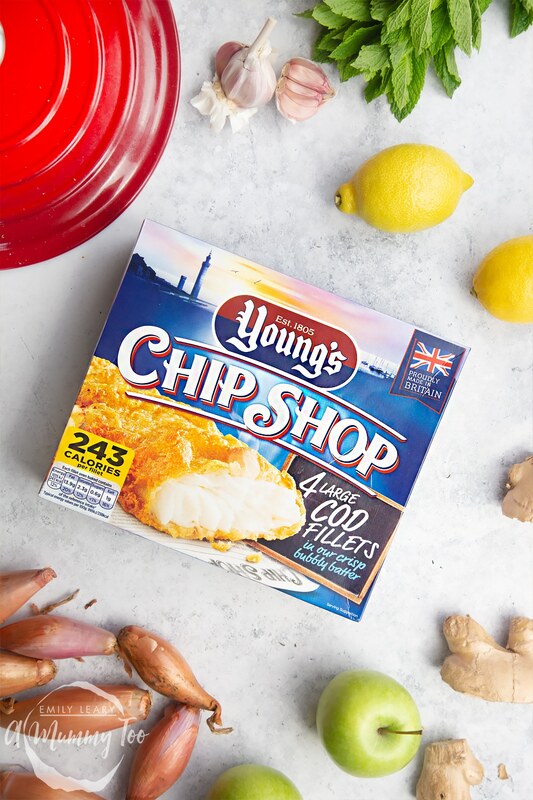 If you’d like to learn more about the Young’s Seafood range why not visit the website, where you can also find the delicious recipe that inspired my own (and a video on how to make it). This is a commissioned post for Young’s Seafood. If you enjoyed this post, why not take a look at my recipe for healthier roast chicken with Mediterranean veg? looks delicious , will try to make it. thanks for sharing . This looks delicious. I would never have thought to mix fish and curry! Is it spicy? if not, what would you suggest to add for spice? Thank you! 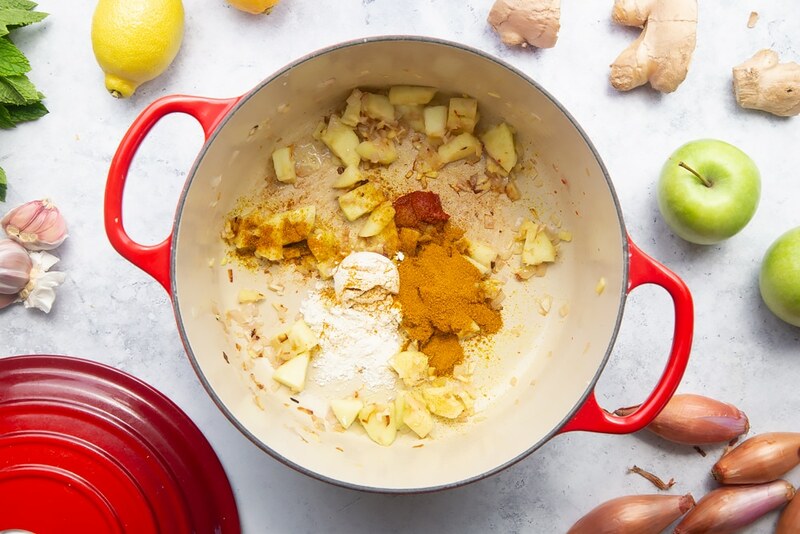 It is well spiced with the curry powder and ginger but only mildly hot – you could add some chilli powder if you want to crank up the heat! 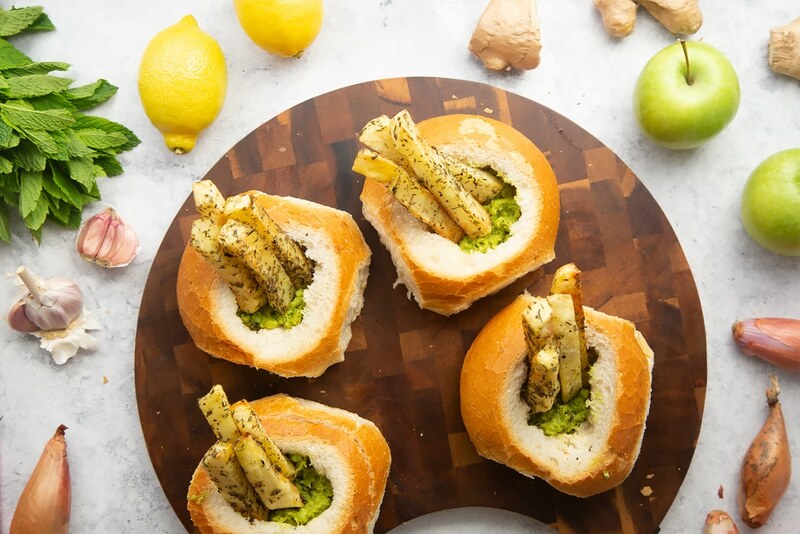 ooh I like this idea, kind of like a posh chip butty! This would go down well with my husband I think! Thank you! I hope your husband likes it if you give it a go – it’s very very tasty! Wow this is quite different isn’t it. I would like to give it a try myself as it doesn’t sound too complicated. This looks and sounds so delicious. I would love to give this a try and a great time too, it is weekend and I do have most of the ingredients at home. Thank you for sharing. Love the presentation. Thank you! 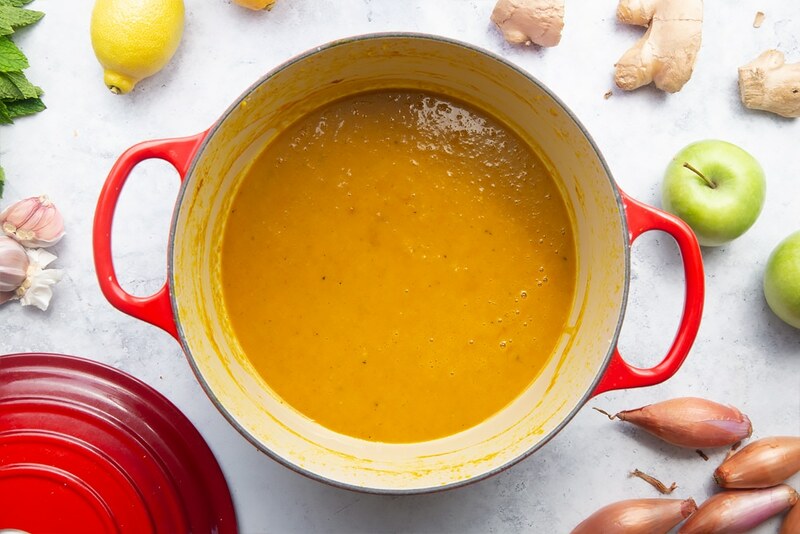 The curry sauce (and the rest of this delicious recipe!) tastes SO good – Enjoy! The bread bowls remind me of the ones at Panera Bread. 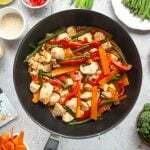 I’m a vegetarian but i can see myself modifying this recipe a bit and replacing the meat with tofu or a different type of substitute. Thank you! I hope you try it! The fish is delicious and the really flavoursome home-made curry sauce, mushy peas and herby chips are an absolute treat! The chips are really tasty, in fact it’s all delicious. Maybe you’ll like this version of mushy peas …you never know! This looks delicious and I am not usually a fish person. I’m hoping the ginger is over powered because I am not much of a ginger person either. I’d like to eat these though. In fact they are looking like dinner right now. You come up with recipes very new to me, I like it! Thank you! The ginger isn’t overpowering, it blends in beautifully :) Let me know how it goes! Ok now this sounds like a really interesting meal idea! I wouldn’t have thought of using both the cod and chips in a roll, totally need to try this one evening though. Great! I’d love to know how you got on! 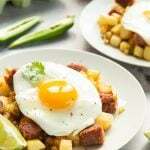 This recipe is a great hit in our house! This looks really good! Seems like it would be the perfect summer treat. I’ll have to try it out next weekend for a family get together. Thanks for sharing! 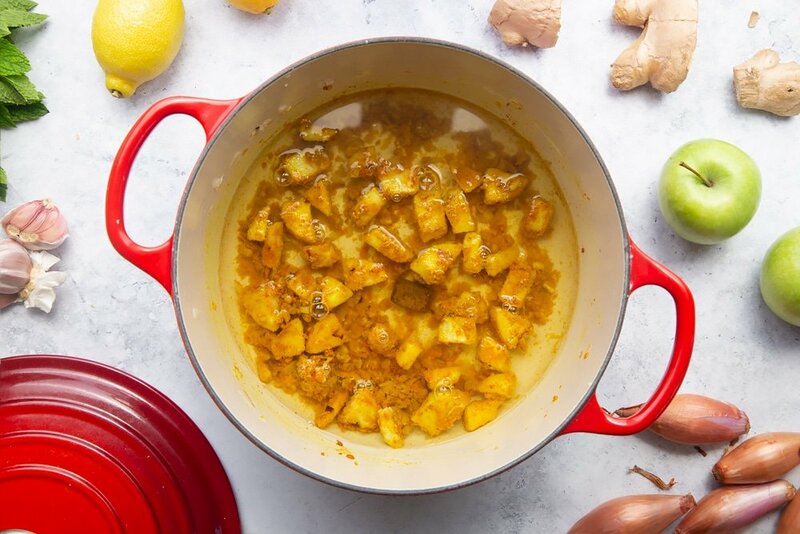 Ooooh that curry sauce recipe sounds awesome! I love chip shop curry but I’ve always wanted to make something that tasted a bit more real rather than just the instant stuff. Bookmarked this! Thank you very much! 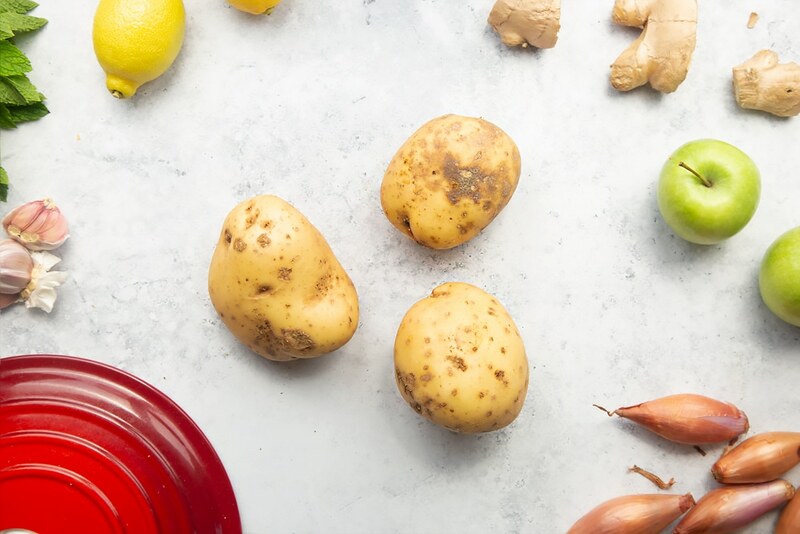 I’m sure that you’ll love this delicious curry sauce recipe, it goes perfectly with the fish, chips and tasty mushy peas! Hi Sim. 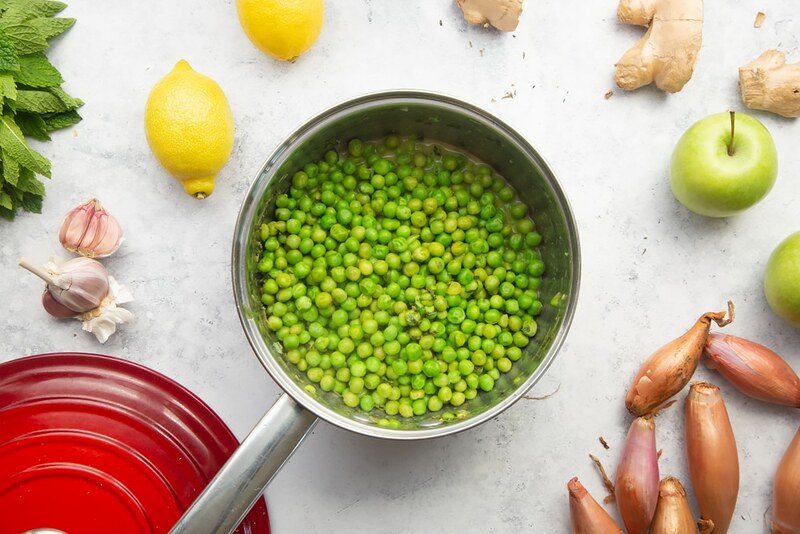 My kids loved this tasty recipe – even the mushy peas! Hi, thank you! 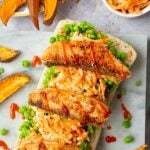 This is a delicious recipe and a lovely way to enjoy the tasty fish. Enjoy! Wow! That looks amazing and I appreciate that you showed pictures on how to create this lovely dish! It’s definitely something that I don’t mind trying out! Thank you! I’m pleased that you like the pics and I hope that you love this yummy recipe as much as we do in our house! Thank you, that’s great! 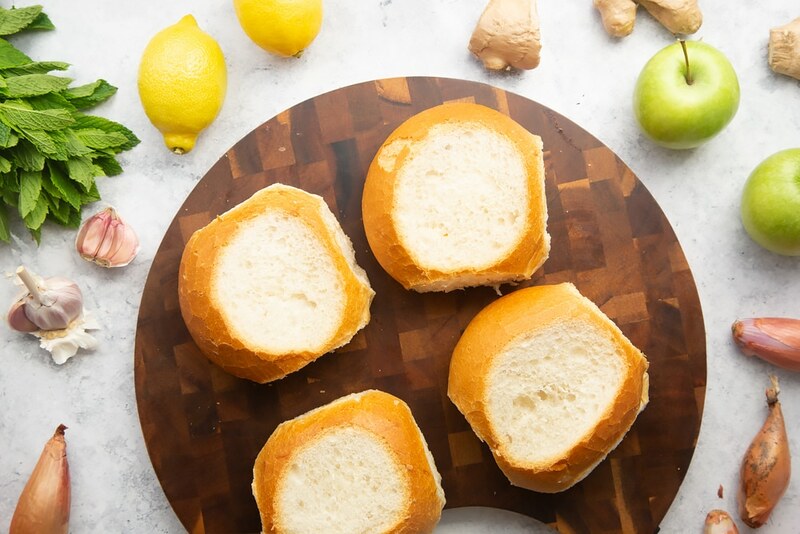 It really is a yummy recipe – enjoy! Hi. 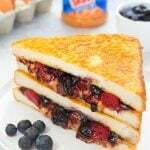 I’m really pleased that you like this recipe! The delicious fish, with home-made curry sauce, tasty mushy peas and herby chips are a real treat! 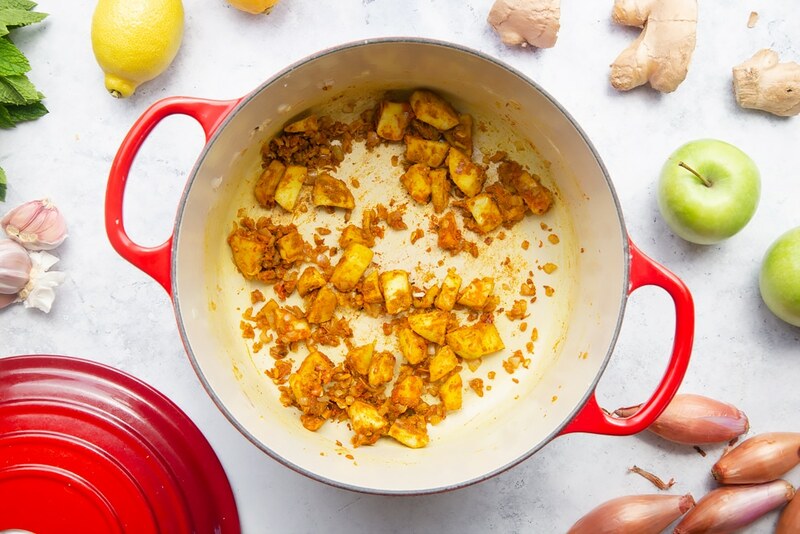 This is an absolutely gorgeous recipe. 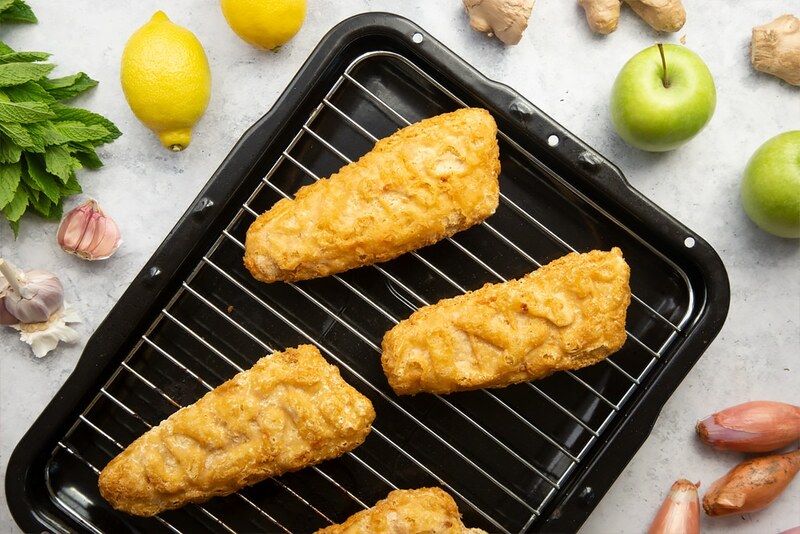 What a creative take on classic fish and chips, you have done a really great job here and it really does look delicious. I like how simple and quick it seems to make too. Thank you so much! 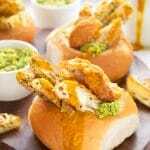 The delicious fish with flavoursome home-made curry sauce, yummy mushy peas and moreish herby chips all go so well together in a crusty roll! It’s a great hit in our house! I never heard of mushy peas before but this recipe sounds absolutely delicious! I’ll definitely try it for my family. Ooh, if you’ve never heard of mushy peas, this is definitely one to try! Enjoy!